I’ve fallen in love with Basque country. It’s a place I knew the least about, but left wishing I had spent my entire time in Spain in this little nook of the country. 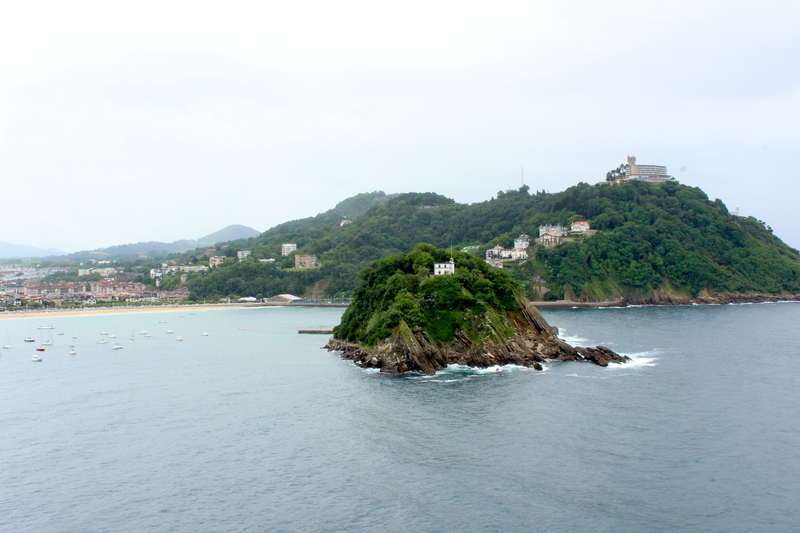 All I knew about San Sebastian was that it sits on the northern shore of Spain, close to the France border. 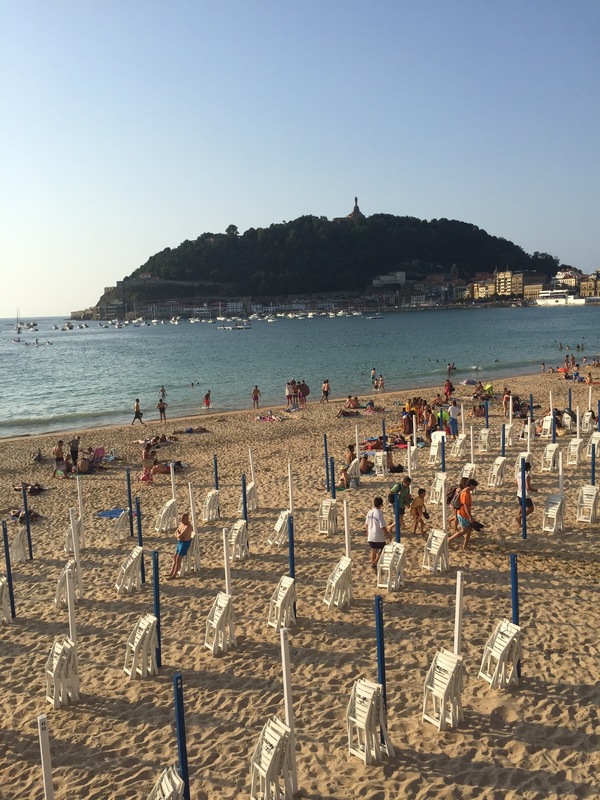 I had heard from study abroad students that it’s party-central – a beach town filled with bars like a mini Ibiza. (They gave us a reversible map that has a “daytime” side and a “nighttime” side). Since it is so far north, I nearly cut it out of my travel plans – and thank God I didn’t. 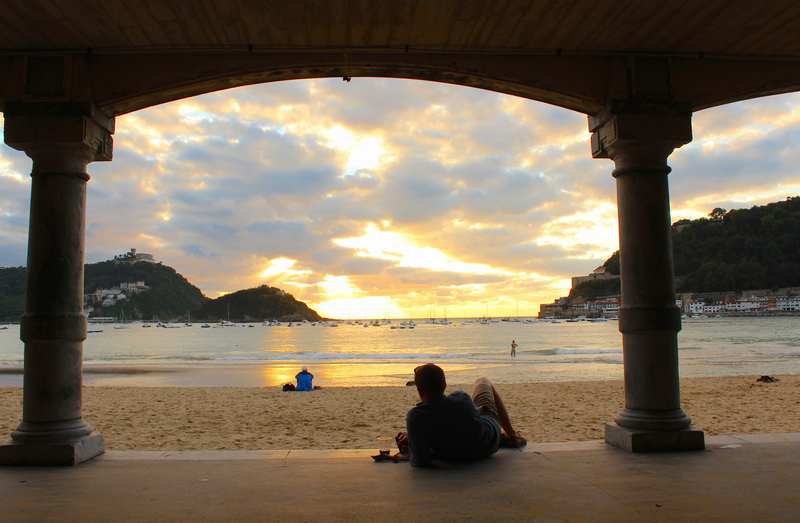 For the rest of Europe and for all of Australia, San Sebastian is no secret. 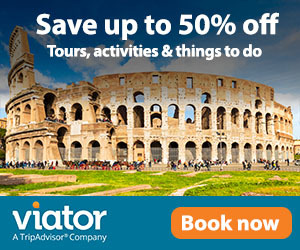 But for us Americans (we were two of very few in the whole city and everyone thought we were British), I think this will be the next Pinterest sensation to take over your picturesque newsfeed and you will be booking a ticket here instead of Cinque Terre. Those in Basque country – whether the French or Spanish part – are simply “Basque”. They are not Spanish, and they only speak Spanish as a second language. Even the culture is completely separated. So the signs can be quite confusing – many are in both languages and Basque has some letters you may not recognize. 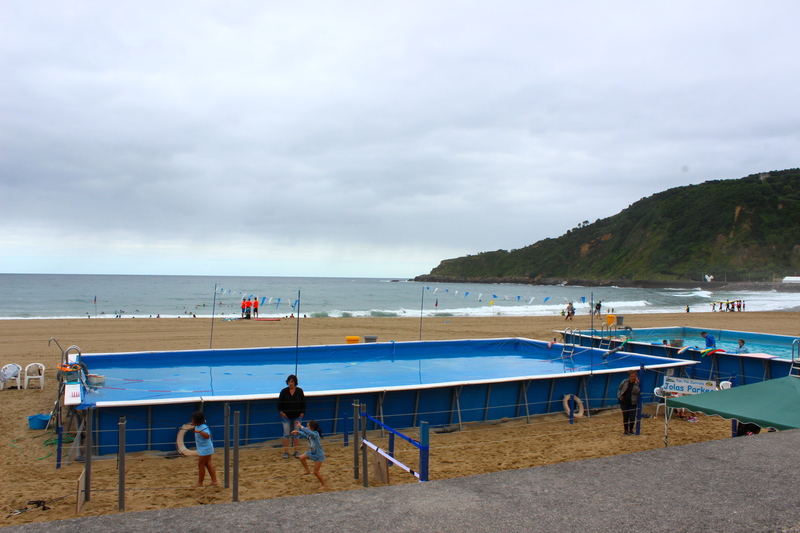 However, because San Sebastian is a European tourist hot spot, they all speak English as well. 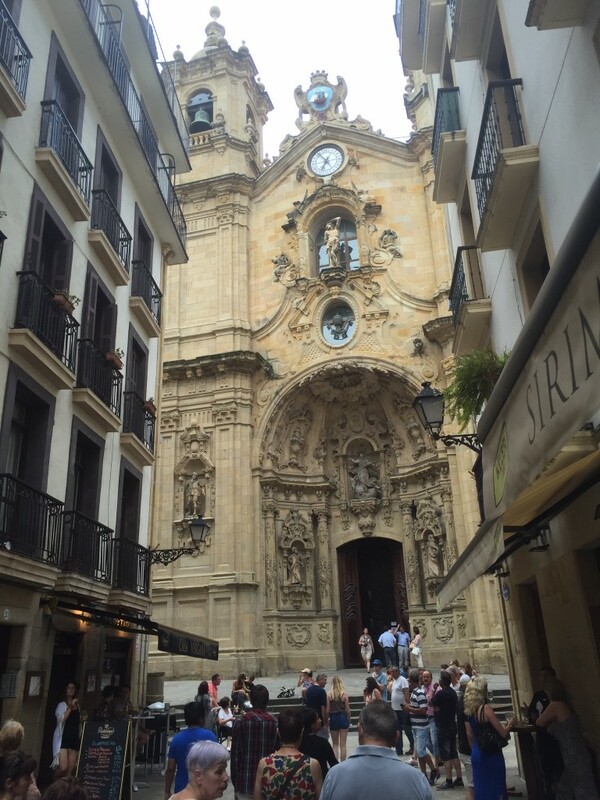 San Sebastian takes everything you love about every kind of city scape and merges it into one tiny town. The old town is little pedestrian-only city blocks that remind me of Venice and every other door is a tapas bar. (This is the area where we stayed and I highly recommend it.) A few blocks inland is a gorgeous square with cafes and street entertainment which connects the old city to the rest of the town’s parks, shopping, public transportation, and pretty much anything else you need. 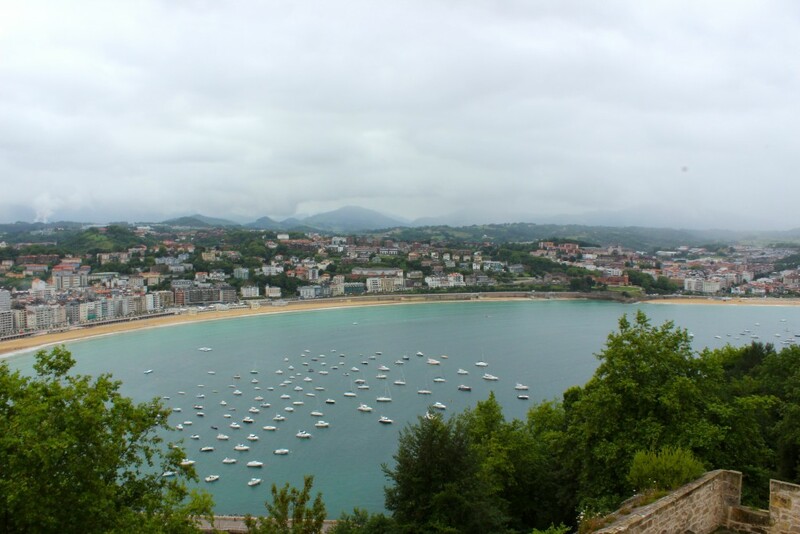 This part of town hugs the beach, La Concha, which is on a little cove so the waves are minimal, and that leads to the smaller Ondarreta Beach which is connected by a few stairs. Santa Clara Island sits within the cove and you can actually swim to it from the beach – stopping halfway to go down the floating waterslide, of course. But if you’re looking for some waves, don’t worry – Zurriola Beach on the other side of town is “surfer’s beach” and they even have a surfing school where you can take lessons. This side of town (separated from the rest of the city by the canal) is a bit less touristy. Seriously, this town can give you anything you can think of. Lolo’s Urban House – Yes, this is a hostel, so not for the picky traveler. Our accommodations were included in our Busabout tour but we opted for the private room upgrade which really turned a lowly hostel into more like a one star hotel. We ended up with a private bathroom (although most private rooms had to share the hall bathroom) and they even provided towels (a luxury in hostels). I had read some negative reviews but I had no complaints about our unit (other than its lack of air conditioning but hey, that’s Europe). Lolo’s owns many buildings throughout the city and ours was in the old town above the bar Bartolo. Kitchen, lounge, porch, and a tapas bar underneath – what more could you ask for? Hotel Londres – I did not go in this hotel but it’s hard to miss as it’s a big gorgeous building that looks like a French chateau overlooking the beach. If you’re looking for luxury, this is probably a safe bet. Pinxtos are the Spanish version of tapas. Pinxtos means stick, and traditionally they are served on little skewers, although most places we went had variety way beyond that. I found pinxtos to be more inventive than traditional tapas and half the time I didn’t know what I was eating except that it was absolutely delicious. In San Sebastian you enter a tapas bar and they hand you a plate. The bar is spread with a huge variety of delicious pinxtos and you choose what you want and pay at the counter (and grab a drink). 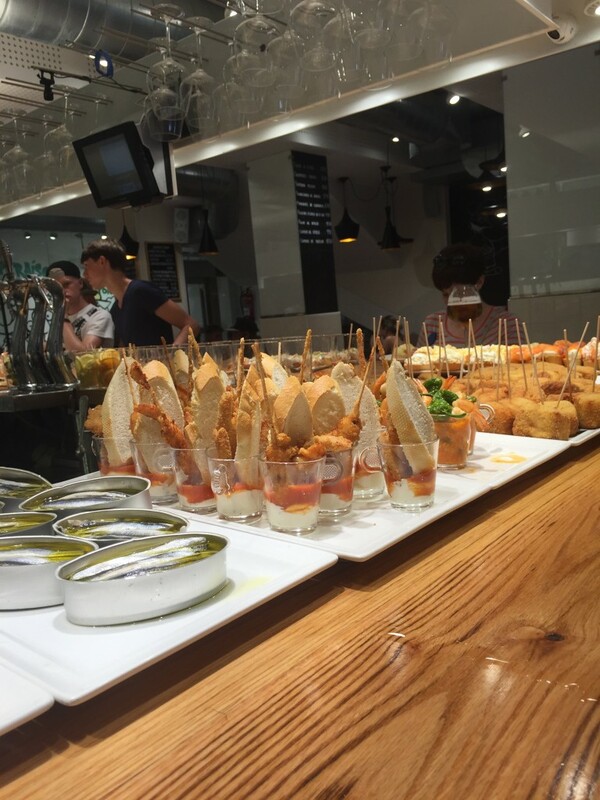 It’s great that tapas are so small because you’ll want to try one of everything. The famous drink in San Sebastian is a Calimocho (Kalimotxo in Basque language). It’s made of Coca-Cola and red wine. Yes, it sounds like a wine-lovers nightmare but hear me out – it’s delicious. (I mean sangria is wine mixed with soda, so how is it different?) I was so pleasantly surprised with how much I liked this drink, that I intend to popularize it in America, one friend at a time. 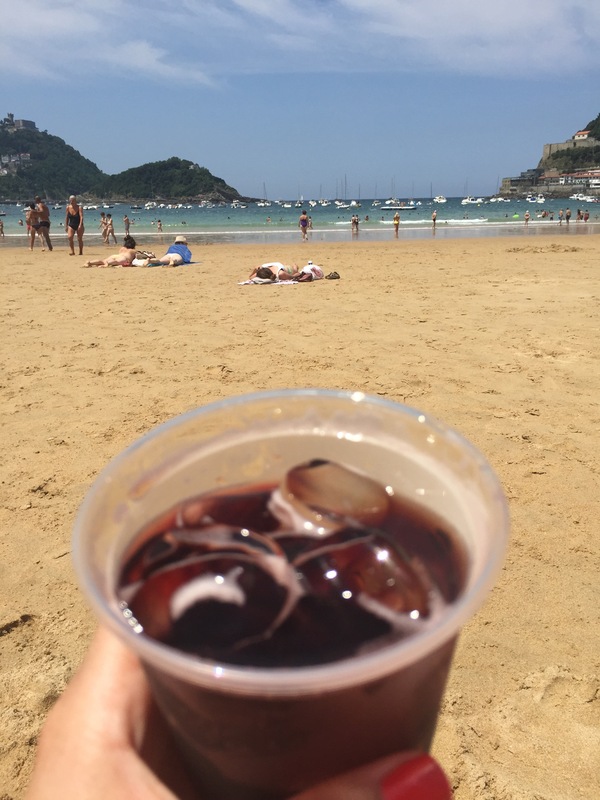 Calimocho is a traditional drink in San Sebastian made with red wine and Coke – and it’s delicious! San Sebastian also has a unique cider that is popular. It’s much flatter than what we are used to and not as sweet. It’s served in a much shorter pour than a beer and comes at a more luxurious price tag. I confess I didn’t love it, and I stuck to the calimochos. 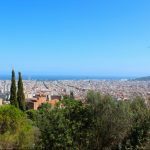 Bartolo – This bar was below our hostel so we visited frequently. They have a great large selection of fried foods – try the meat ball. 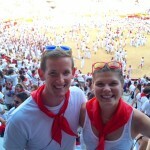 Beti-Jai – This was my absolute favorite tapas bar and I might go as far to say my favorite meal in all of Spain. It’s slightly more expensive than neighboring bars but it’s worth every penny. Feta and jam on fresh bread, croquettes in all forms, chorizo muffins, and ham – try it all. Atari – Grab a drink from here and sit on the steps of Santa Maria church. They also have a cooking school next door. Ganbara – Travel Channel suggested this place for the decadent mushrooms, ham on buttered croissant and Gilda — the “original” pintxo — with olive, guindilla pepper and anchovy. Pamplona – This is an easy bus or train ride, which only takes about an hour, making San Sebastian an easy commute to Running of the Bulls. 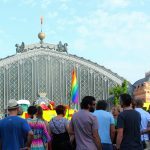 Biarritz – This would be a full day trip, but it is fairly easy to take a car or train to Basque country in southern France. Gaztelugatxe – Although we didn’t make it here (it requires a private car) this is the site of one of the greatest staircases of the world, as named by Huffington Post (and Pinterest). 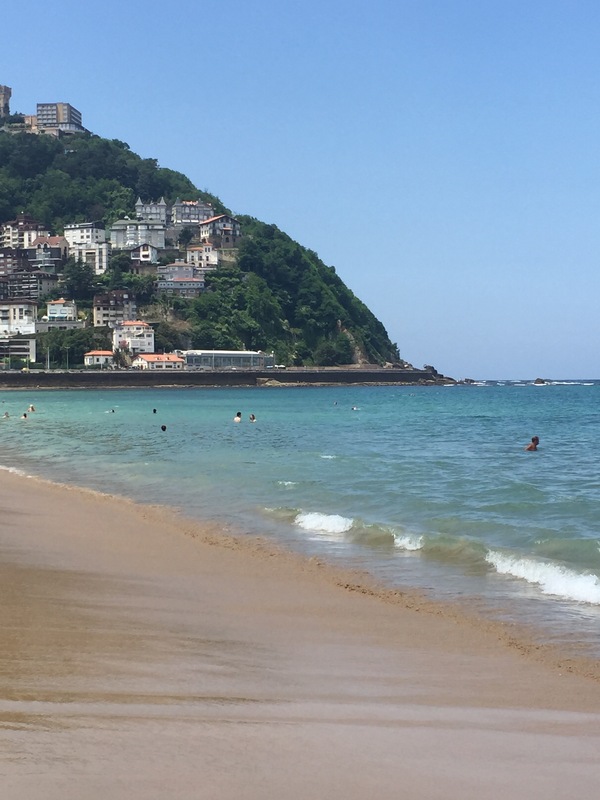 And the best part of San Sebastian? The sunsets. Have a drink and watch this gorgeous town turn to oranges and golds.